The Battle of Malvern Hill was the last battle of the American Civil War campaign in 1862. Today Malvern Hill is the best preserved Civil War battlefield in central or southern Virginia. It lies a short distance from the James River and Richmond, the capital. Nearly unaltered in appearance since 1862, the hilltop still displays the line of cannon. The battlefield's rural setting and extensive walking trails offer an ideal environment for visitors to appreciate the devastating conflict that took place here. 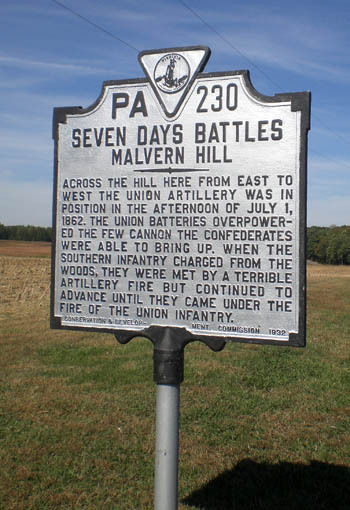 From the north came the Unionists who commanded the high ground at Malvern Hill. From the south came the Confederate army. 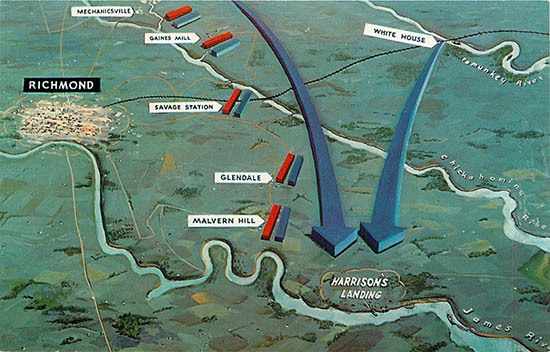 A series of battles ensued culminating in the Malvern Hill conflict. General Lee recognized the power of Malvern Hill where Confederate artillery would attempt to seize control by suppressing the Union cannon there. 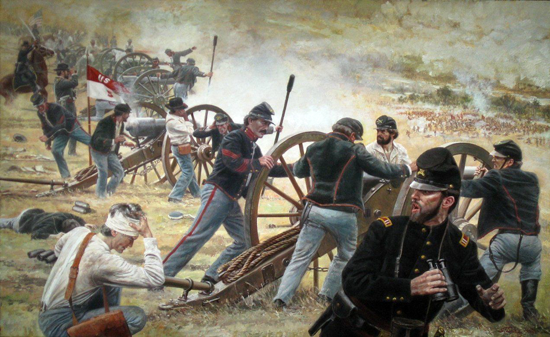 Lee believed his infantry could assault and carry the position if they did not have to contend with the fearsome Union batteries. The hill itself is a modest elevation just over 2 miles north of the James River. Its strength lay not in its height, but rather in its fields of fire. Gently sloping open fields lay in front of the Union position, forcing any Confederate attacks against the hill to travel across that barren ground. McClellan unlimbered as much artillery as he could at the crest of the hill, facing in three directions. Nearly 70,000 infantry lay in support, most of them crowded in reserve on the back side of the hill. The dominance of the position enabled less than one-third of the Union army to defeat a larger chunk of the Confederate army. Confederate leaders and soldiers alike could look back on poor command and control as the principal cause of their defeat. The casualty totals were more balanced than expected for a battle in which the outcome never was in doubt. Slightly more than 5000 Confederates fell killed and wounded, while roughly 3000 Union soldiers met a similar fate.